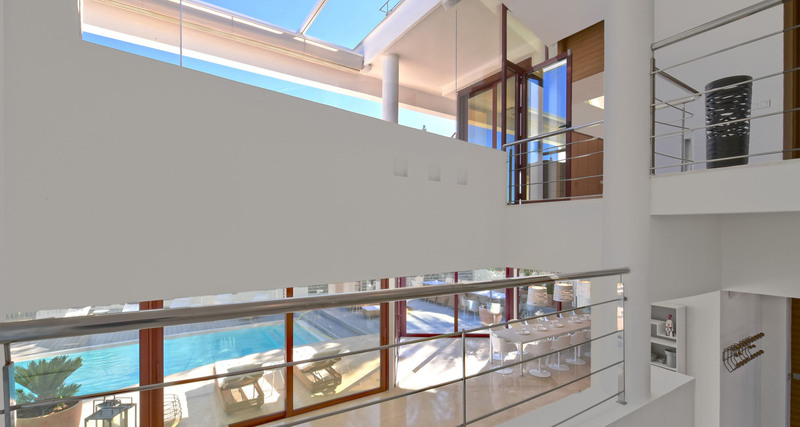 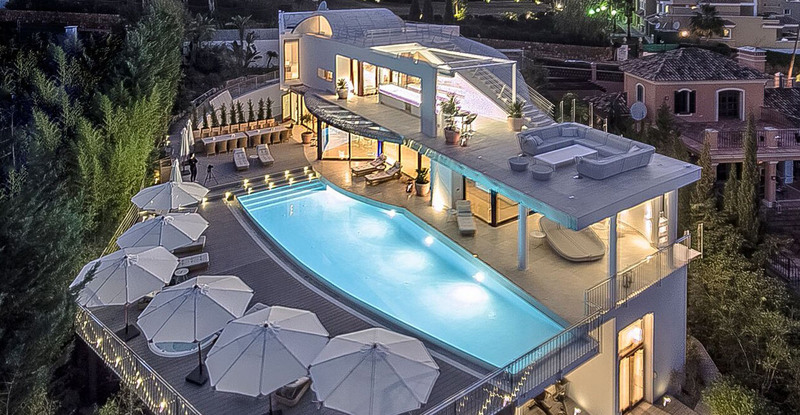 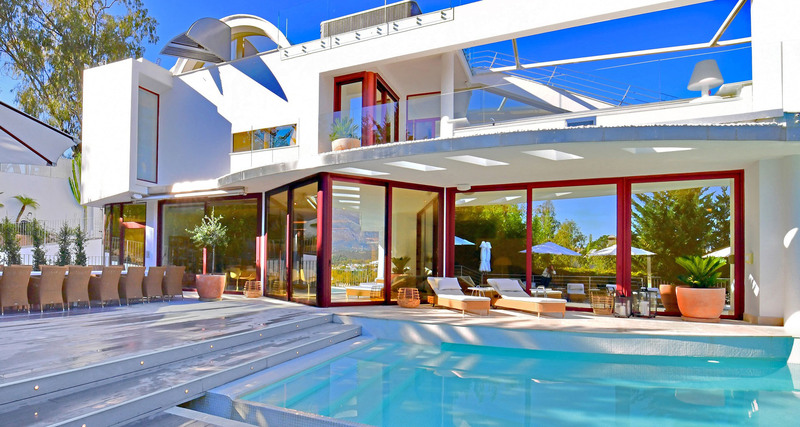 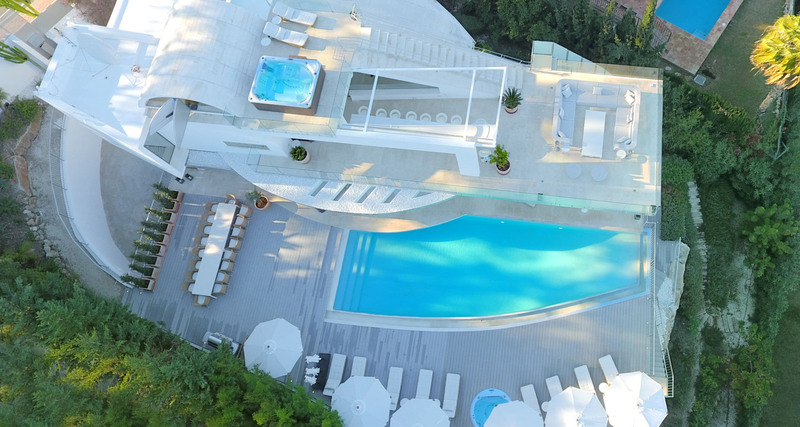 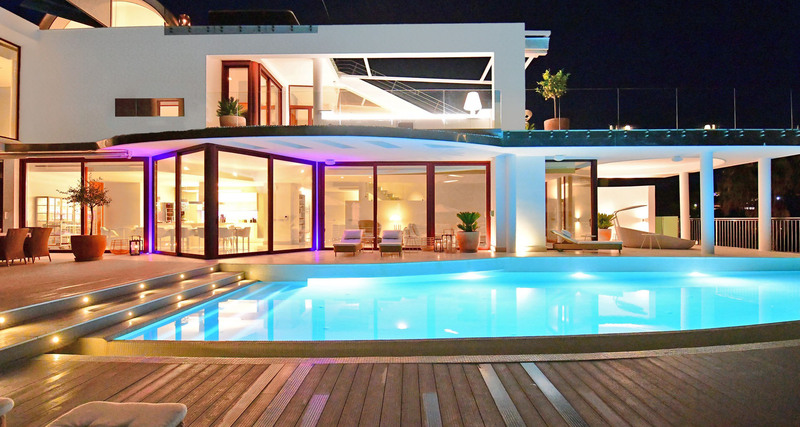 A marvel of modern architecture, this is an exceptional villa that simply must be seen to be believed. 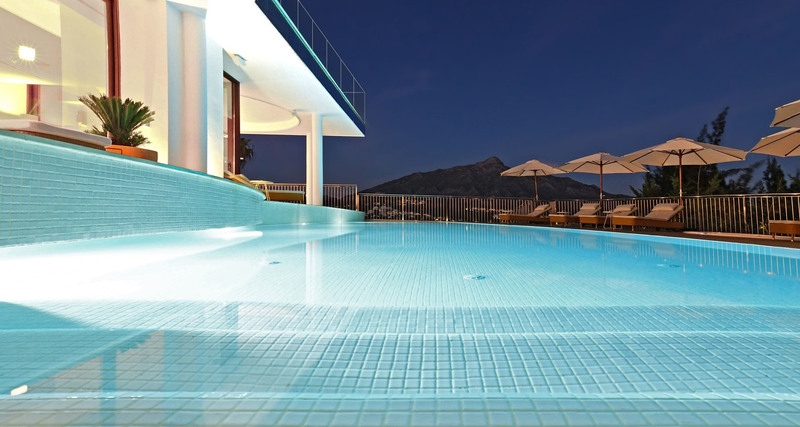 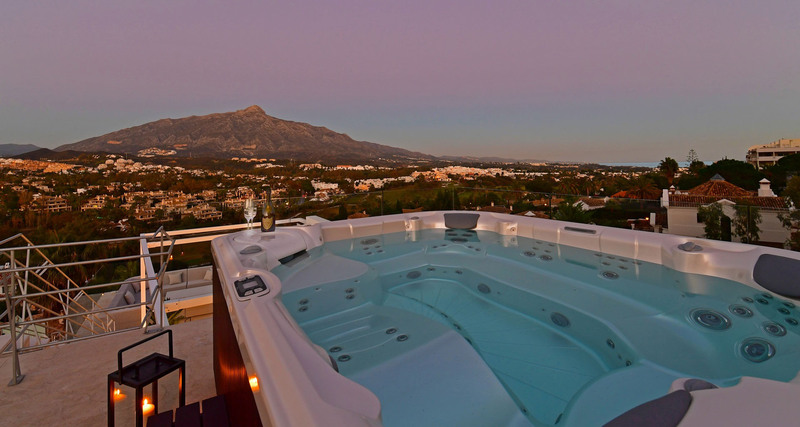 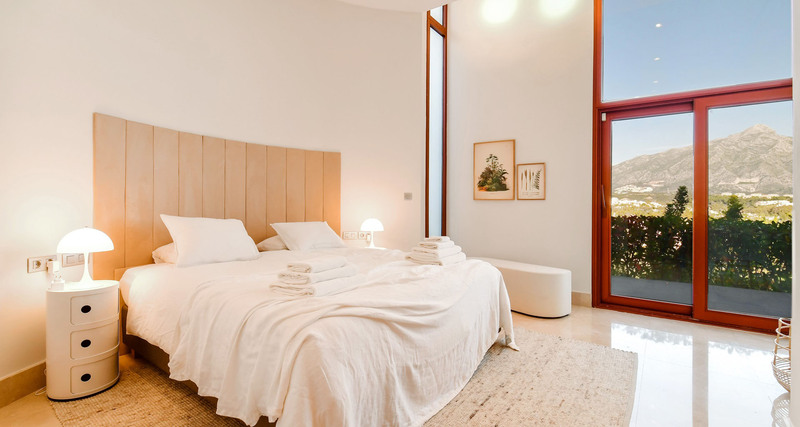 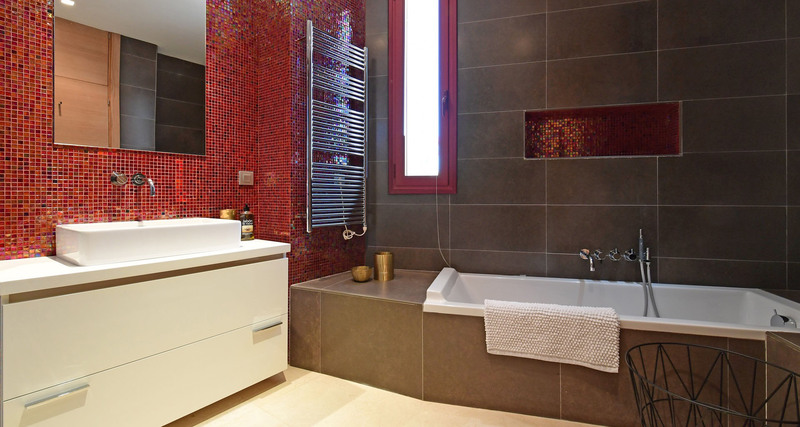 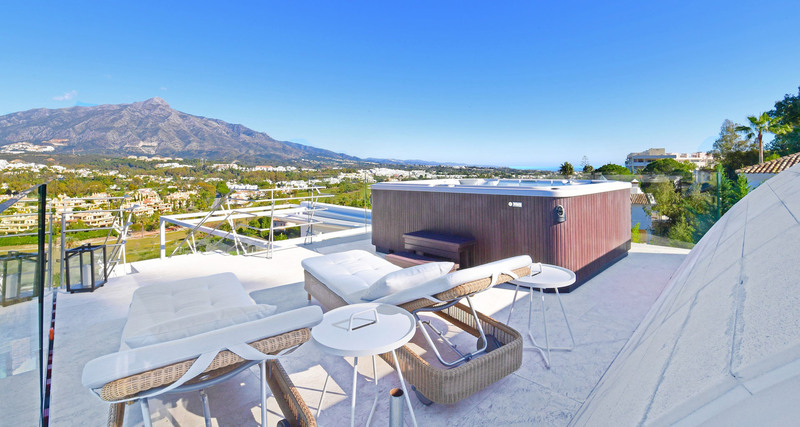 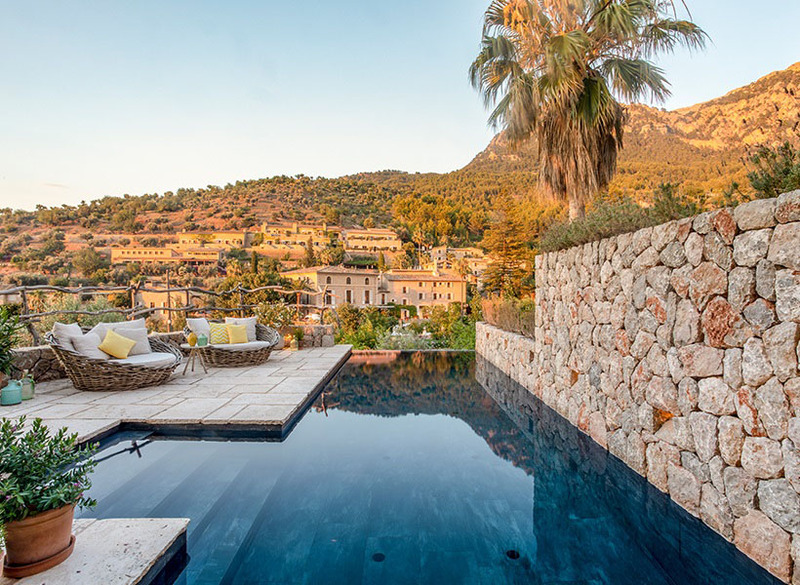 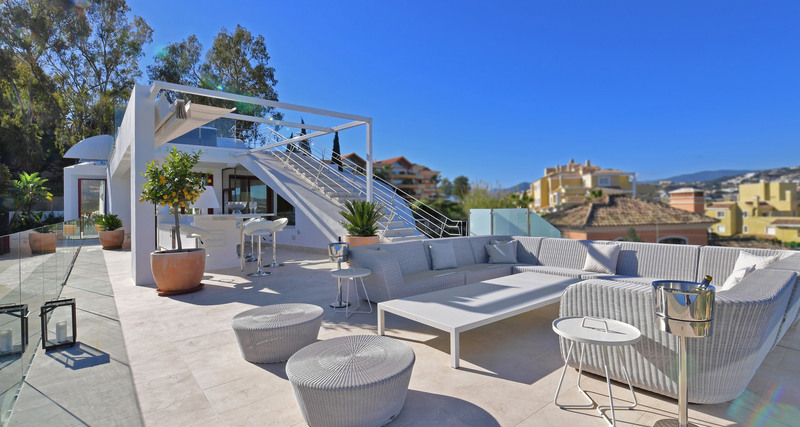 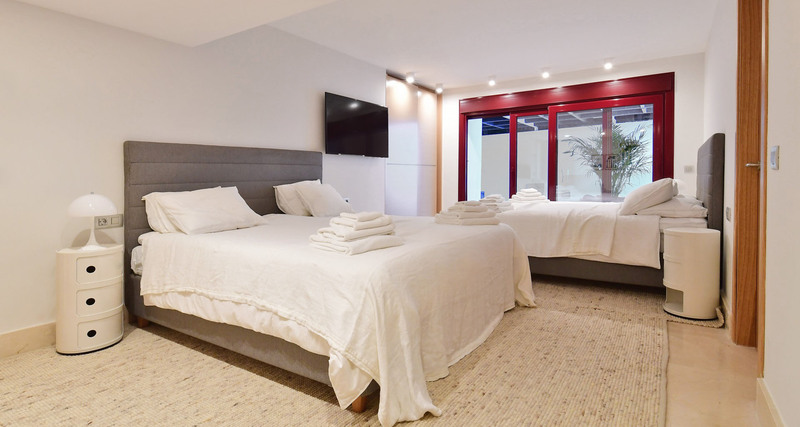 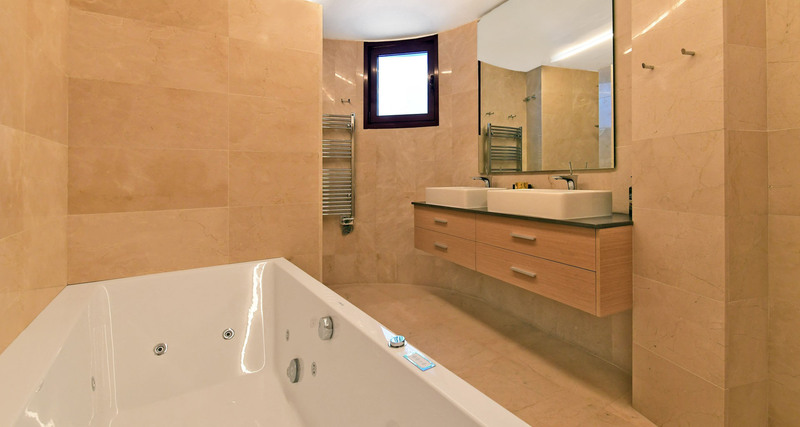 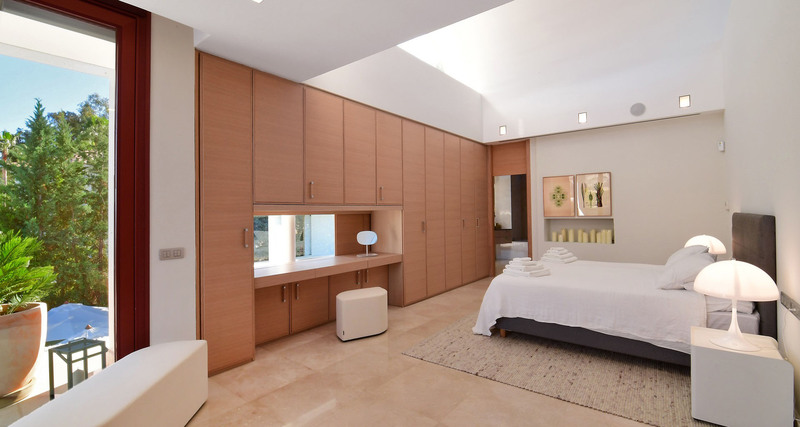 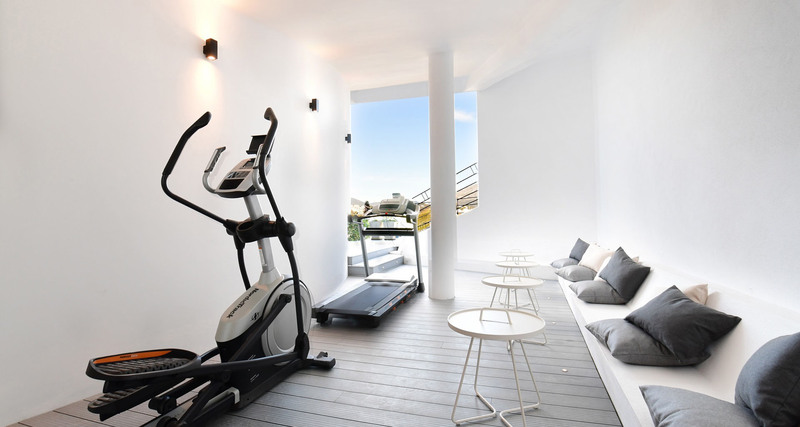 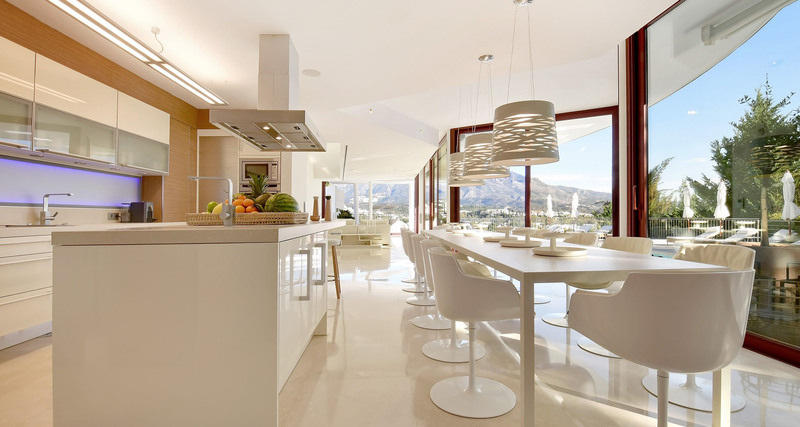 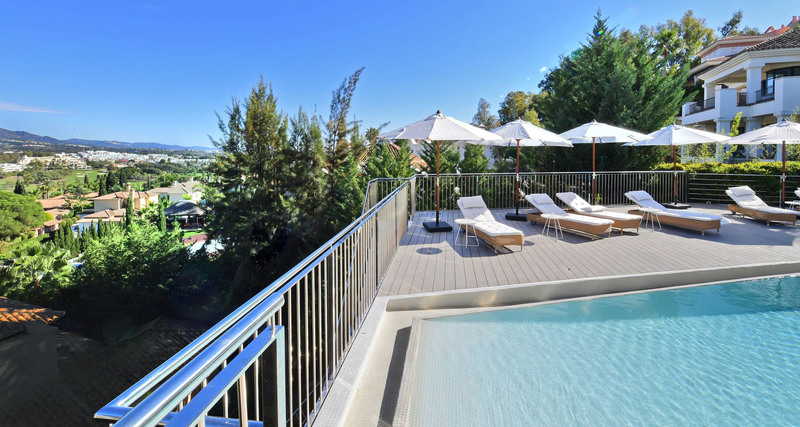 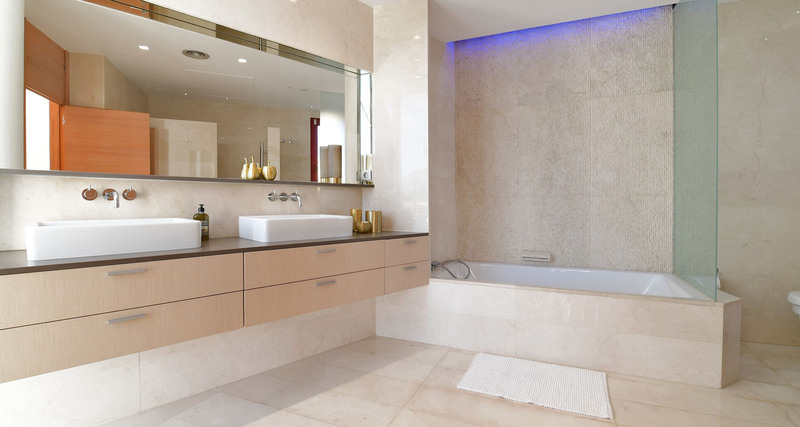 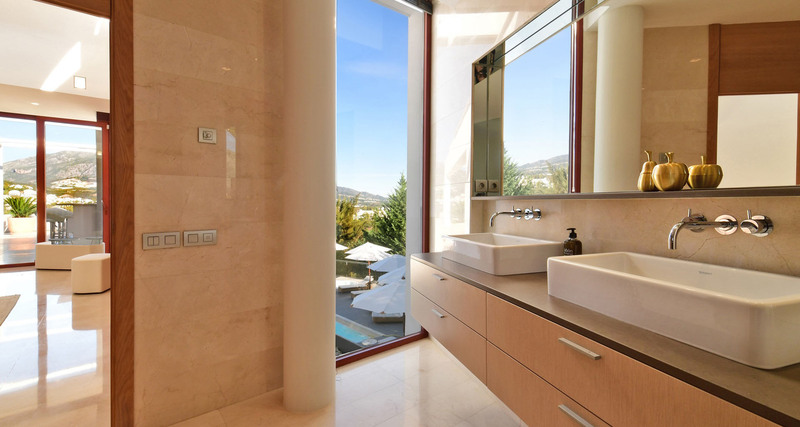 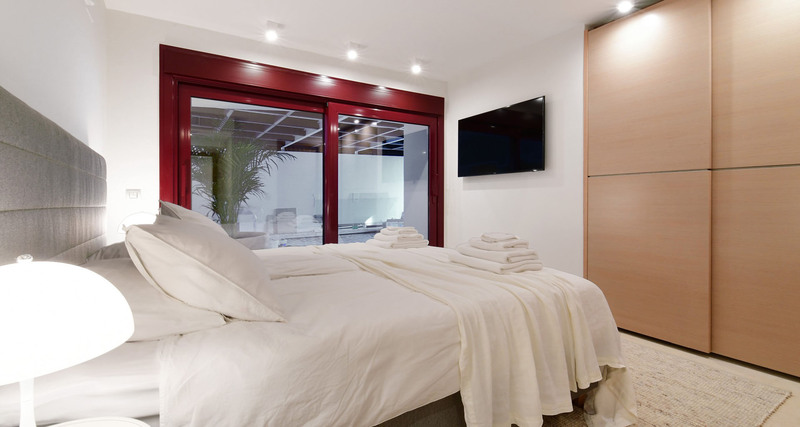 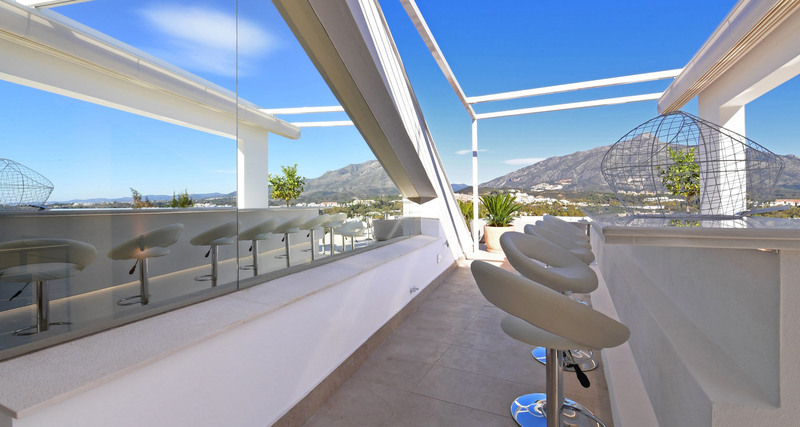 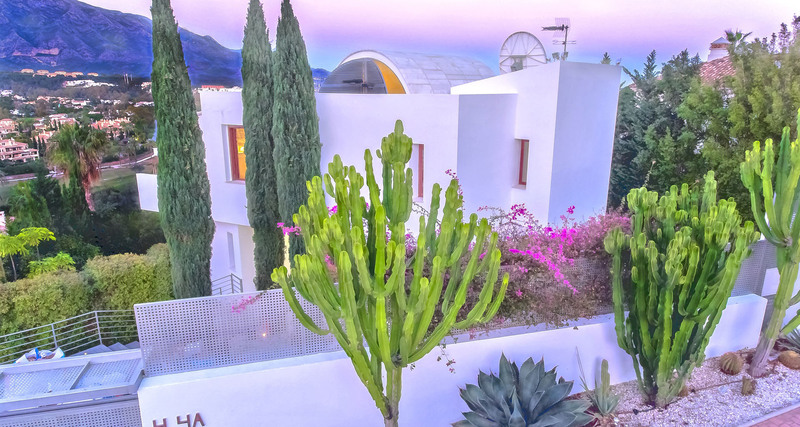 Designed in a fabulous contemporary style, the property has been recently renovated and benefits from the very highest standards of fixtures and fittings, stylish furnishings, 2 luxury Jacuzzis, infinity-style swimming pool, mountain views, and outstanding outdoor terraces. 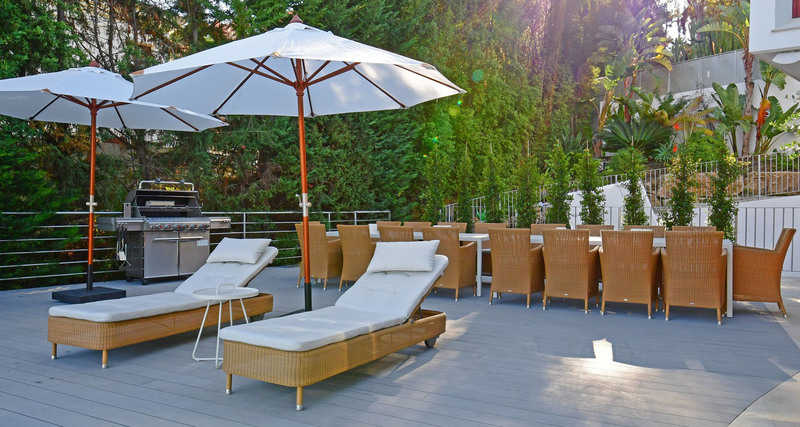 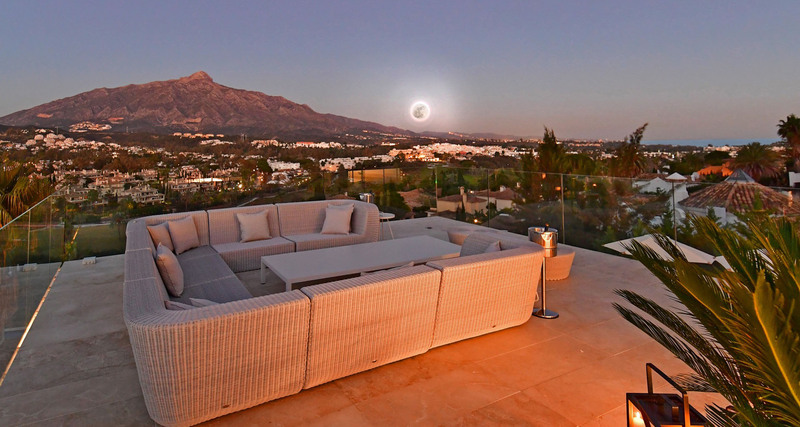 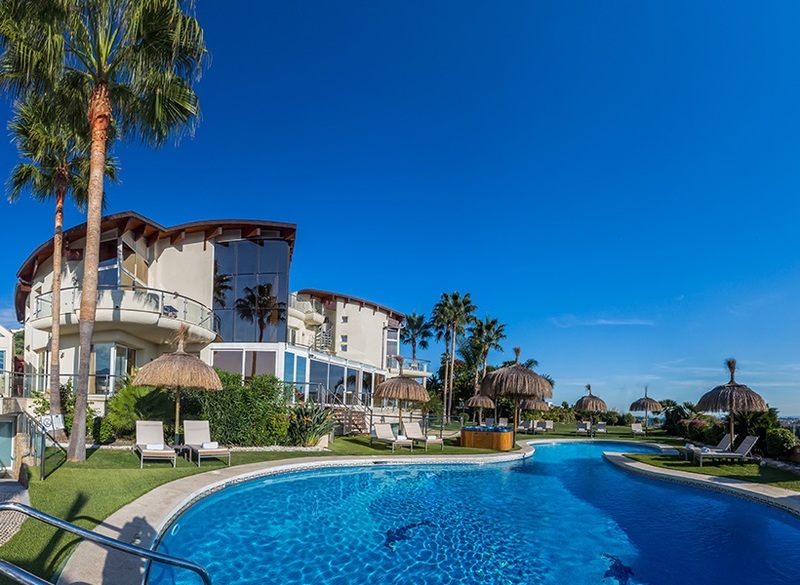 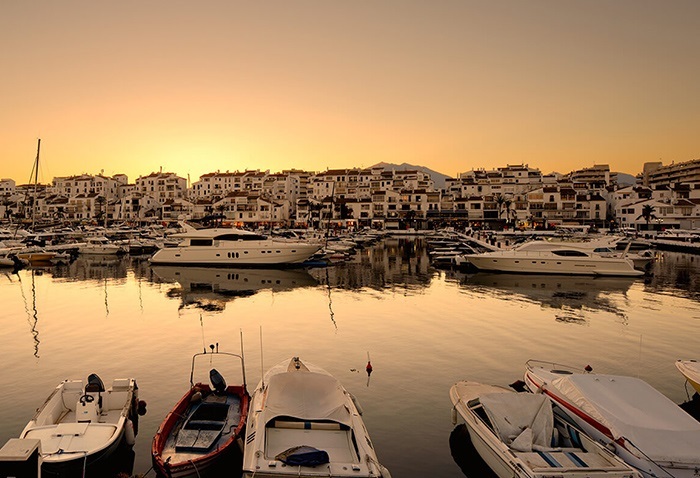 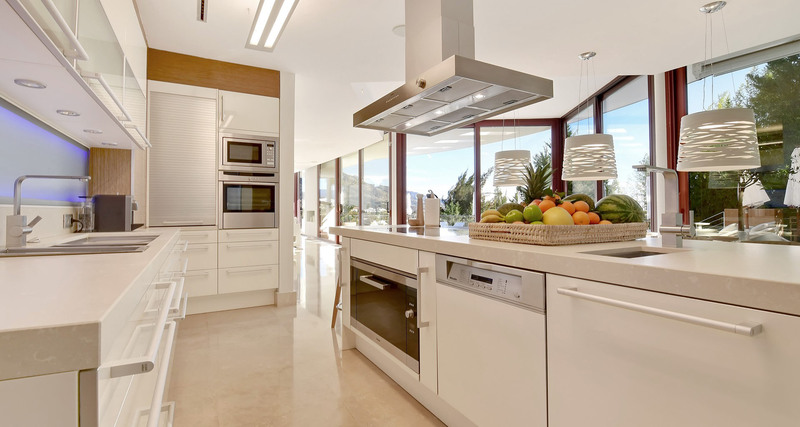 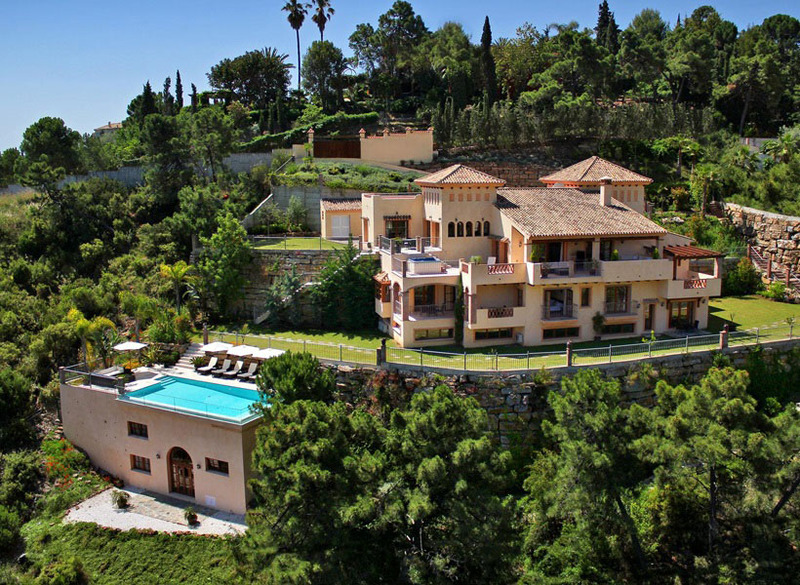 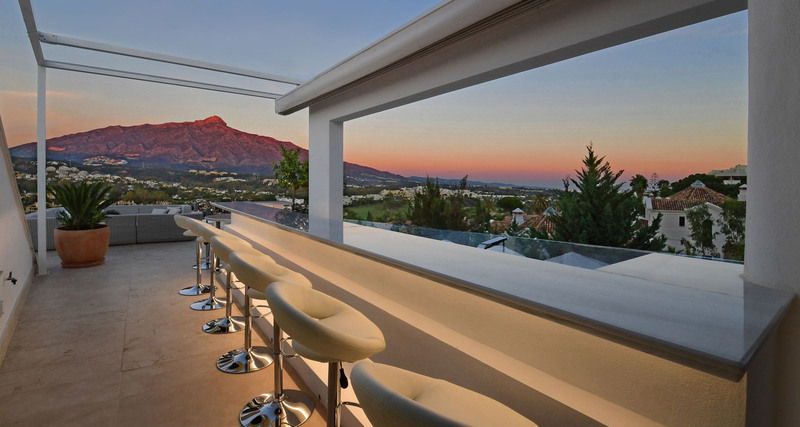 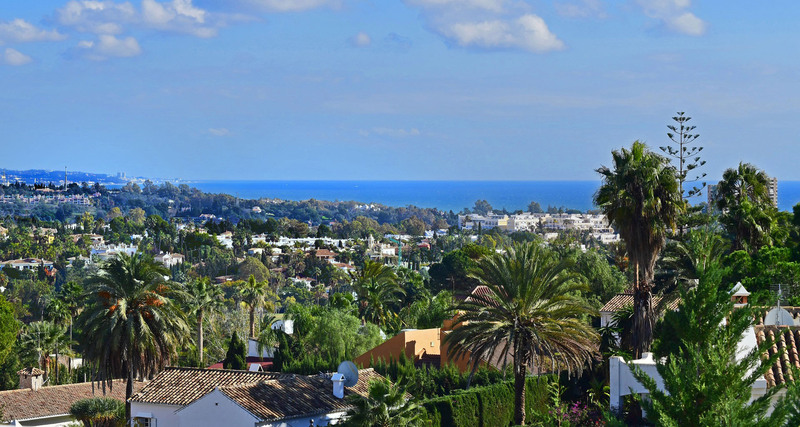 Located in the exclusive area of Nueva Andalucía, just a 5 minute drive from Puerto Banus and its fantastic restaurants and shops, this is the perfect luxury villa from which to explore the beautiful surrounding areas. 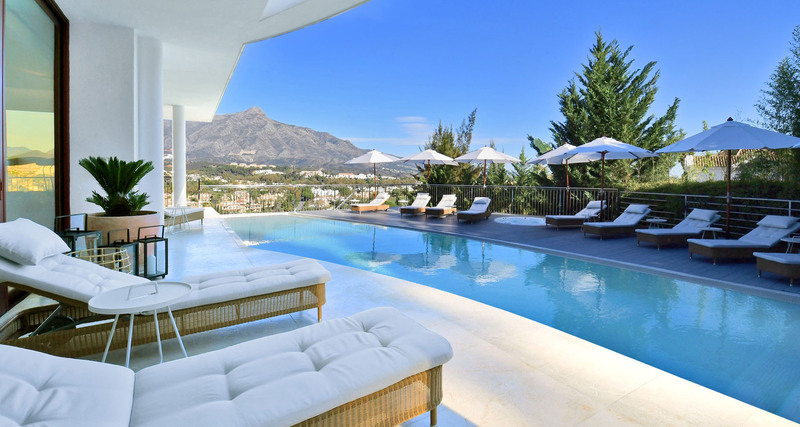 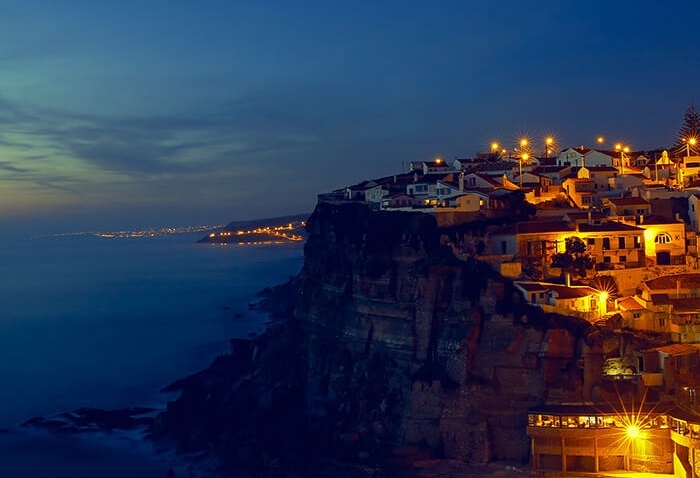 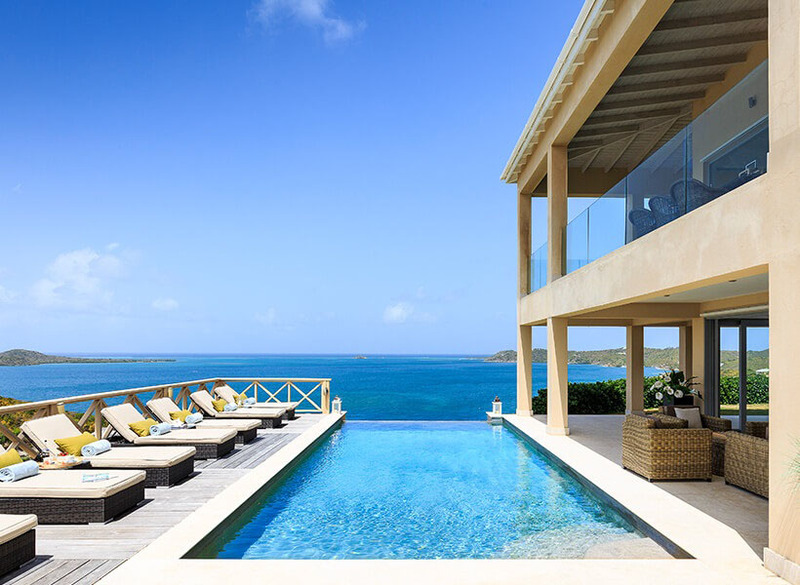 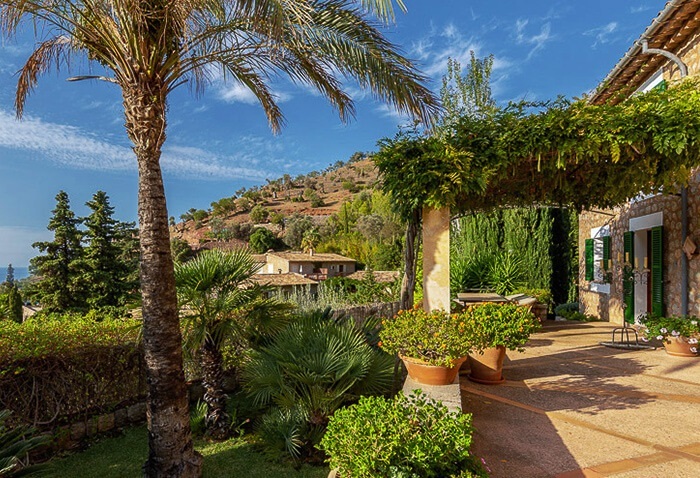 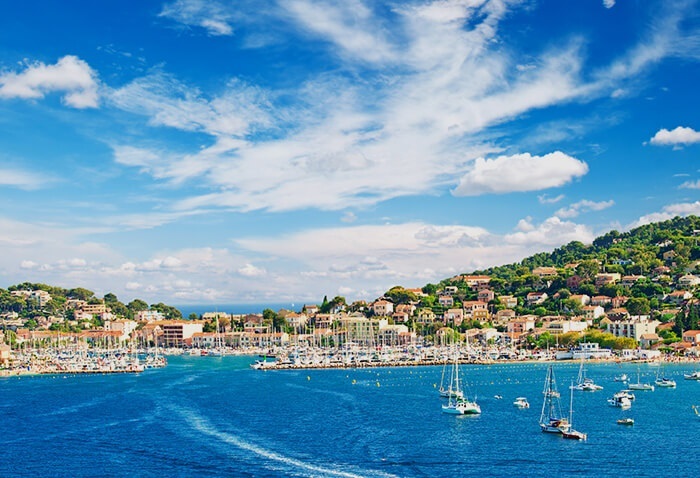 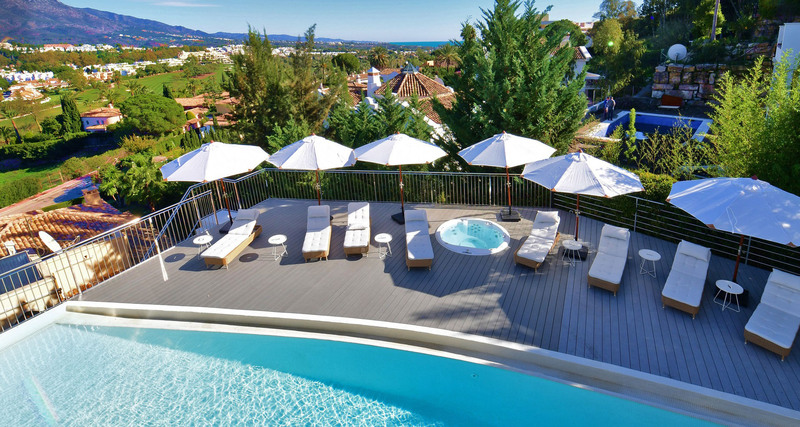 A truly first-class villa rental that will not disappoint! 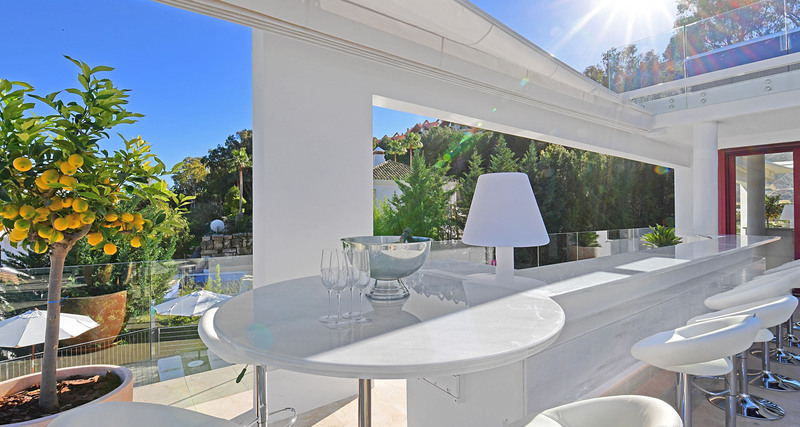 Beautiful and bright living area with comfortable lounge area and full-size windows looking out on to the amazing ground floor terrace and pool – Fully-equipped kitchen with Gaggenau white goods and dining area for 16 people – Laundry room and scullery with extra refrigeration – Two very impressive master bedrooms on the second floor with large en-suite bathrooms and access to outdoor bar and lounge area – Five bedrooms on the lower ground floor level with six king-size beds and four en-suite bathrooms, all with access to the pool and terrace area – Cinema and games room with pool table and outdoor gymnasium – Spacious lower floor terrace with palm trees, comfortable sun-loungers, a large heated infinity pool and five-person Jacuzzi – Outstanding barbecue area with large dining table – Second floor terrace with partly-covered bar area and luxurious lounge seating – Roof terrace with eight-person Jacuzzi and 360 degree views over the valley.